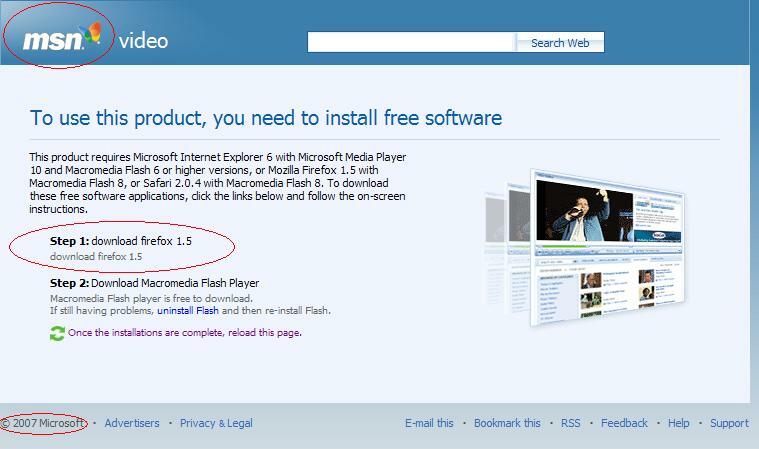 Is Microsoft really directing me to download a competitor's product to view their content? I see a script error on line 876 when trying to view this blog. Is there something wrong with this line?